Another great example of using DNA in genealogy. 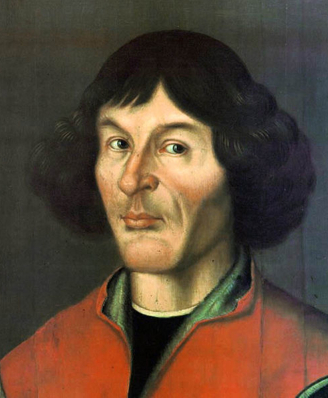 WARSAW, Poland  Researchers said Thursday they have identified the remains of Nicolaus Copernicus by comparing DNA from a skeleton and hair retrieved from one of the 16th-century astronomer's books. The findings could put an end to centuries of speculation about the exact resting spot of Copernicus, a priest and astronomer whose theories identified the Sun, not the Earth, as the center of the universe. 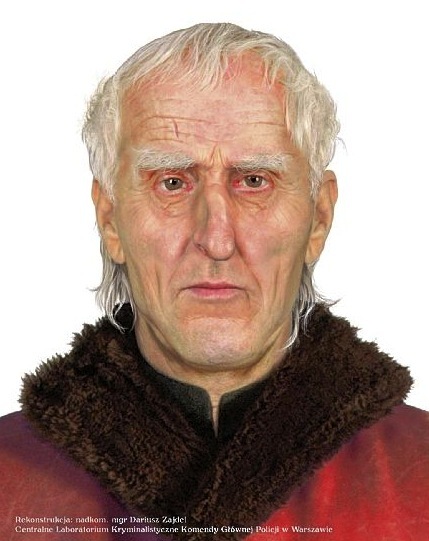 Moreover, the skull belonged to a man aged around 70  Copernicus's age when he died in 1543. Gassowski is head of the Archaeology and Anthropology Institute in Pultusk, in central Poland, and Allen works at the Rudbeck Laboratory of the Genetics and Pathology Department of Uppsala University. Gassowski's team started his search in 2004, on request from regional Catholic bishop, Jacek Jezierski. "In the two years of work, under extremely difficult conditions  amid thousands of visitors, with earth shifting under the heavy pounding of the organ music  we managed to locate the grave, which was badly damaged," Gassowski said. Copernicus is believed to have come up with his main idea of the Sun at the center of the universe between 1508 and 1514, and during those years wrote a manuscript commonly known as Commentariolus (Little Commentary). His final thesis was only published, however, in the year of his death. His ideas challenged the Bible, the church and past theories, and they had important consequences for future thinkers, including Galileo, Descartes and Newton. Carol, that is really neat, that not only did you get a positive match, but one with such historical meaning. DNA searches are new to me , and something I am just starting to investigate. Can you share some info about what takes place on your part, to get a DNA search ? According ot Polish wikipedia http://pl.wikipedia.org/wiki/Rodzina_Miko%C5%82aja_Kopernika Katarzyna Kopernik, sister of Mikołaj, was the only who extended Kopernik genealogical lineage marrying Bartłomiej Gertner from Kraków. They had five children: Katarzyna, Krystyna, Regina, Jerzy and Albrecht. Gertner family lived in the former Koperniks family house. Katarzyna's husband paid a rent for the house to Barbara, Mikołaj's (and Katarzyna's) sister. Their daughter Katarzyna married Toruń's merchant Andrzej Wachsschlager. Krystyna, like her mother's sister joined an order in Chełmno. But she escaped from there with Kasper Stulpawitz, drummer from Królewiec, who she married later. Even though this thread, and the news about discovering the grave of Copernicus was posted in 2008, the story is very interesting, especially Carol's discovery that her DNA results show a family relationship to the famous astronomer! Carol, have you found the names that link your family tree with Copernicus? I would love to see it! I had my Mt-DNA test several years ago. It was done by Sorensen Molecular Genealogy; however the profile was sequenced by Gene Tree. "deep ancestry" will show a different haplogroup. We shall see. My haplogroup is U4, apparently not very common amongst Poles. Through my genealogical research, I now have documentation that my family is connected to the Tarnawa clan. This has been a family story which until a few years ago was merely a joke in the family. I am in contact with a few people of this family and it seems that the more information I gather the closer I get to the fuller story. Of course, this means that while there may be a noble connection, there are also some shadows that get light shed on them. I would be interested in hearing from others who may be willing to share about their haplogrouping. My own Polish ancestral roots are linked to Clan Tarnawa. The surname is Galezowski. Polish clans were military brotherhoods rather than related through blood. So you could get many names who used the Tarnawa CoA and only a few would be related. I believe there are over 80 different family names claiming allegiance to Clan Tarnawa. Recent yDNA testing from FTDNA shows our family haplogroup is I1. Strongly prevalent in Scandinavia and all along the northern rim of Europe from Scotland over to Poland. The incidence of the I haplogroup drops off quickly as you go south though I vaguely recall seeing a concentration somewhere in the Balkans. Your mtDNA and your son's mtDNA will be the same, since inheritance is through the mother. Your son's haplogroup of his y-DNA will be inherited from his father since it is associated the male y chromosome, which women do not have. My full sequence mtDNA was done by Family Tree DNA. It is on file at GenBank, the National Institute of Health and I have also released it for any use in scientific research. My father's Haplogroup (y-DNA) is R1a1a, most common in eastern Europeans. Family Tree DNA has some excellent articles on both mtDNA, y-DNA, and access to project (Polish, Haplogroup H, Haplogroup W, Haplogroup Ria, and so on) results that give an excellent overview of where and who some group members are located. Considering that Europe is relatively small populations have traveled everywhere even in the past thousand years. Fascinating to see where they originated, where they have been, and where they are now. The recent genealogical history of human populations is a complex mosaic formed by individual migration, large-scale population movements, and other demographic events. Population genomics datasets can provide a window into this recent history, as rare traces of recent shared genetic ancestry are detectable due to long segments of shared genomic material. We make use of genomic data for 2,257 Europeans (the POPRES dataset) to conduct one of the first surveys of recent genealogical ancestry over the past three thousand years at a continental scale. We detected 1.9 million shared genomic segments, and used the lengths of these to infer the distribution of shared ancestors across time and geography. We find that a pair of modern Europeans living in neighboring populations share around 10-50 genetic common ancestors from the last 1500 years, and upwards of 500 genetic ancestors from the previous 1000 years. These numbers drop off exponentially with geographic distance, but since genetic ancestry is rare, individuals from opposite ends of Europe are still expected to share millions of common genealogical ancestors over the last 1000 years. There is substantial regional variation in the number of shared genetic ancestors: especially high numbers of common ancestors between many eastern populations likely date to the Slavic and/or Hunnic expansions, while much lower levels of common ancestry in the Italian and Iberian peninsulas may indicate weaker demographic effects of Germanic expansions into these areas and/or more stably structured populations. Recent shared ancestry in modern Europeans is ubiquitous, and clearly shows the impact of both small-scale migration and large historical events. Population genomic datasets have considerable power to uncover recent demographic history, and will allow a much fuller picture of the close genealogical kinship of individuals across the world. For those of you who might want to "test the waters" with DNA testing, I thought I'd mention that Family Tree DNA is offering a great price for the basic 12 marker Y-DNA test. It is temporarily reduced to $39. I have paid $99 for this test! The Y-DNA test is for males only, and traces the male line directly from father to son down through the ages. Hello.... I am interested to know how does one get on when there are no direct relative on the Male side to have a Y-DNA TEST done?? My problem is, the only folk in my mothers side of the family, alive today is myself, sister, and 1st cousins 1 younger male and 2 younger females. And there children all up 5 in total and 2 grandchildren of mine. My/our Grandfather was the only son and he only had 2 daughters. It is his Grandmothers line and her husbands line who I am trying to trace. They came from Moravia/Austria and from 'somewhere in Lithuania so far as I know' to NZ in 1874. Absolutely intrigued with the Copernicus reconstruction and the DNA tracing ... Amazing!